WASHINGTON — A day after an inspector general report accused him of wasting taxpayer funds and lying about it, Veterans Affairs Secretary David Shulkin promised to get rid of individuals within his own department who may be working to undermine his leadership. “We need this department to be functioning well,” a frustrated Shulkin told reporters on Capitol Hill Thursday. “Everybody needs to know their job is taking care of veterans. That includes an investigation into claims that his chief of staff’s emails may have been hacked, leading to a series of mistakes culminating in the IG report. Shulkin said that department leaders “have found there are people sending emails from her account that aren’t her” and promised to determine who is behind the malfeasance. The claims come amid weeks of turmoil at the Department of Veterans Affairs, which had been one of the success stories thus far for President Donald Trump’s administration. Last year, lawmakers approved nine major bills related to veterans care and reforms, including accountability legislation championed by the president and appeals reform measures backed by Shulkin. But since the start of 2018, those positives have largely been overshadowed by internal fights and chaos. Veterans groups have grown increasingly concerned about rival factions within the department’s leadership in recent months. Rumors that White House was considering firing one of Shulkin’s top deputies to send a message to the secretary were downplayed by his supporters (and congressional leaders) but seen in the community as a worrisome power play within the administration. Wednesday’s release of the scathing inspector general report added to that strife. The report listed multiple ethics and policy violations for an overseas trip last July, where VA officials paid for Shulkin’s wife’s airfare and he accepted free tickets to a Wimbledon match from an English businesswoman. The report also criticized VA Chief of Staff Vivieca Wright Simpson for altering emails to help justify allowing Shulkin’s wife to travel on official business, a charge the IG said could cross criminal lines. Shulkin said he believes her emails were hacked. Shulkin initially released a lengthy statement responding to the report asserting, “I have done nothing wrong,” but within hours it was replaced by a shorter, simpler release from VA spokeman Curt Cashour saying only that the report was under review. Internal VA emails showed the move was directed by officials within the White House, and that public affairs officials would coordinate with them on all future responses. At a House Veterans’ Affairs Committee hearing on Thursday, Shulkin repeated concerns about how the IG investigation was handled and their decision to ignore his lengthy rebuttal to the accusations. But he also said he would pay back the treasury for the disputed funds and commit to other reforms recommended in the report. “I do regret the decisions that have been made that have taken the focus off our (VA reform) work,” he told lawmakers. After a calm 2017, VA leaders have seen numerous scandals and distractions in the first few weeks of 2018. Committee leaders said they will continue to look into the issue in coming weeks. Ranking member Rep. Tim Walz, D-Minn., said he would work with Shulkin on referring criminal charges to the Department of Justice if he provides additional proof of hacking. But committee member Rep. Mike Coffman, R-Colo., broke ranks with his fellow panel members and demanded Shulkin’s immediate resignation for the scandal. He told reporters after the hearing that Shulkin’s actions are indicative of a culture of corruption within VA, and said he believes the secretary — the only Cabinet-level holdover from President Barack Obama’s administration — got the job only because Trump could not convince anyone else to take it. Shulkin brushed off those accusations after the hearing, and said he had no intention of resigning. He also said he is in contact with White House officials (including the president) and is looking to keep them updated on department needs and policy challenges in the weeks ahead. 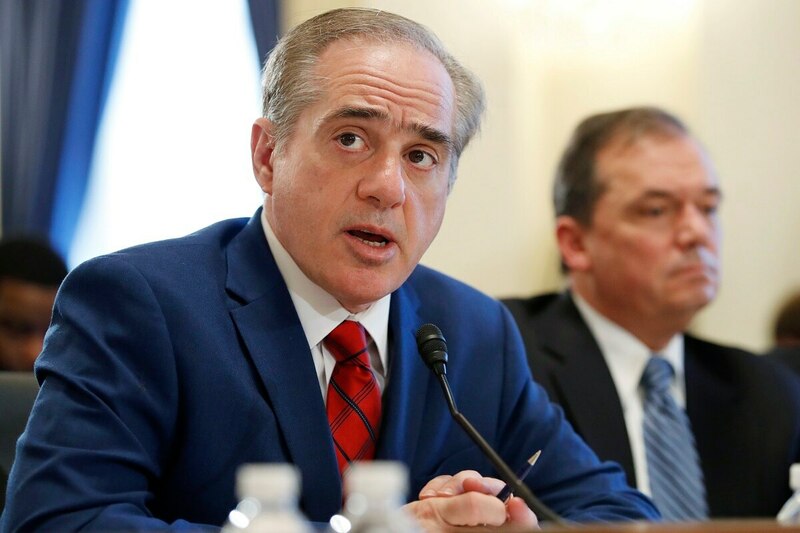 Lawmakers on the House panel said they hoped the controversy — which broke on the one-year anniversary of Shulkin’s swearing-in as VA secretary — won’t derail work on health care reforms and the fiscal 2019 department budget. But they also promised more questions for the IG and secretary before moving on from the issue.